Are you sure we’re OK to travel? 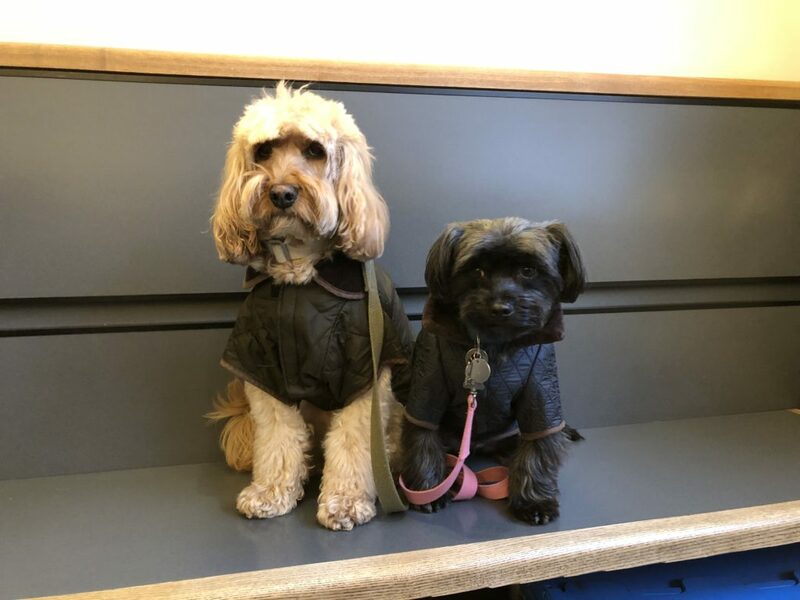 With all the scaremongering about a No Deal Brexit, Mum took us to the vet to have our Rabies Titer Tests back in early December. In preparation for travel, we recently went back to check that everything is in order for our upcoming travels should we end up with a no-deal Brexit. We’re taking all precautions – can’t be island bound! 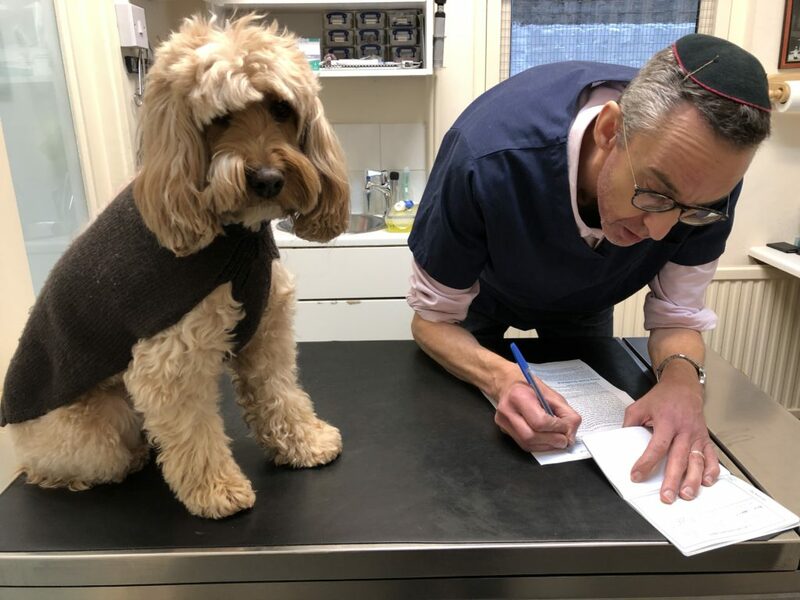 Our vet, Peter making notes for us so we’re sure to have ticked off everything we need for our travels. May’s comment: With the impending Brexit – or not, who knows, we have been planning for the worst case scenario should UK not be granted third country status after the 29th March – and to make sure we can still travel onto the continent freely. Following the advice of DEFRA, we went ahead to take the Rabies Titer test. Even if your pets are up to date with rabies vaccinations, a blood test is required. The results must show that your pet has a rabies antibody level of at least 0.15 IU/ml. The timing is essential. You have to wait three months from the date of successful blood sample was taken before travelling. Therefore, in order for us to travel in middle of April, we had our blood tests done in early December. The results took almost two weeks before they came back. That took us to mid-December when the vet could certify that their response to anti-rabies vaccination was at a level of serum neutralising antibody equal to or greater than 0.5 IU/ml. In addition, your pet must be microchipped and have been vaccinated against rabies before travelling abroad. 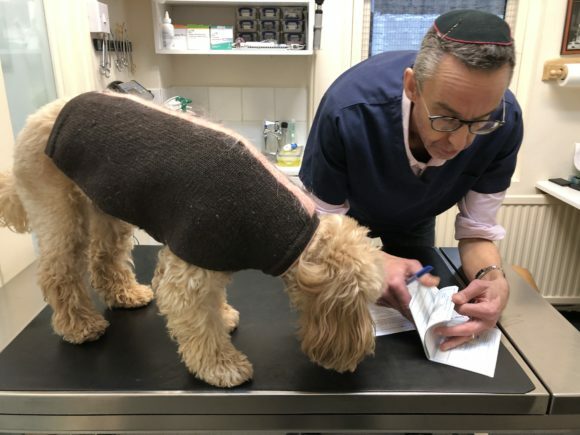 The additional step is you must take your pet to an Official Veterinarian (OV), no more than 10 days before travel to get a health certificate for European travel. Because if there’s no deal, pet passports issued in the UK would not be valid for travel to the EU. However, after that, pets that have previously had a blood test and have up-to-date rabies vaccination do not need to repeat the blood test. But a health certificate from an OV is still required for each trip to the EU. You will need to prove your pet’s vaccination history and a successful rabies antibody blood test result. For more information, check out DEFRA’s guidelines. Wish they can postpone Brexit – just so we can get our summer travels over with. We have just come back from Spain with our two cockapoos. The Spanish vet told us that in the event of a no deal that to avoid quarantine the rabies test would have to be clear 6 months before arrival in Spain. He told me that they had received official notification from the Spanish Government to confirm this which he says is not in line with the notices the UK are sending out. Thanks for that. It’s going to be chaos. And so much to plan before going over now. The interesting thing is – where do they check. They don’t have check points like we do coming back to the UK. How did you go to Spain with your two? Do you drive? I don’t and I’ve been trying to get there and having difficulty with the trains. Anyone know what will happen travelling to France.We o with our 2 cockerpoos end of August.Were there last year and it was so easy.Bit concert what will happen. Get your titre test done ASAP for one and then we wait. I’m curious, when you travel with your dog that far, what do they do about relieving themselves? If your dog can hold all night for almost twelve hours, means they can hold for at leat six. Our journeys maybe long but the train journeys usually require changes. The longest train ride we took was from London to Edinburgh over night – but that was just another night, except we were on a train. The other long train ride was from Amsterdam to Berlin – and that was about six hours. Most train rides are about 3 hours.